Community Risk Reduction, Hazardous Materials Management and Support Staff. a Certified Hazardous Materials Technician, and an Associate Instructor in Fire Technology and BasicFire Academy at Santa Ana College. Covarrubias who will be responsible for the community engagement and public education programs forAnaheim Fire & Rescue. facilities and incidents involving hazardous materials and waste. responsible for community engagement and public education. She will join Anaheim Fire & Rescue onMarch 25.
the highest mark for a municipality. 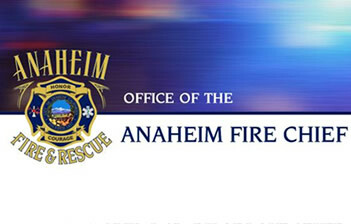 Anaheim joins a select group of 178 cities nationally and 19 inCalifornia to carry a Class 1 rating, and is one of 33 agencies nationally that have achieved both.